I thought I'd pretty much seen every Nic Broomfield documentary - this despite the fact that I'm not a fan of his style of putting himself in front of the camera lens - until I saw this old TV movie on my streaming service. Being obsessed with all things seedy and sordid and Hollywood confidential I couldn't resist. The movie was shot in the mid-1990s at the height of the Heidi Fleiss scandal. She was a young attractive woman who'd apparently been making millions running a string of high end prostitutes in Hollywood. She herself would get involved, charging $40,000 a night for fantasy scenarios where she'd talk dirty. And she has a certain professional pride. When quizzed by Broomfield about whether the service was really worth it, she says "it takes some skill to keep that up for a few hours." The first half of the film is a kind of investigative journalism hunt for Heidi, complete with hidden cameras to prove that "off-screen" negotiations for an interview are actually happening. The money shot is the final half hour of an apparently very candid, sympathetic and charming interview. Heidi comes across as smart witty and remarkably self-aware. She thinks the business she's in is horrible and full of sleazy people but she has not qualms about the true needs of people and servicing them. But the real subject matter of the film is the nature of memory and story-telling, because Heidi is by no means the only charismatic character in the documentary. She's part of a triumvirate of pimping filled out by her boyfriend and movie producer Ivan Nagy and the older pimp, Madame Alex. Each character blames the other for double crossing chicanery and the joy of the film is hearing this kind of Rashomon reflection of what truly happened. Per Fleiss she was a young girl from a wealthy family attracted to elderly men. At 19 she meets the much older Nagy and he introduces her to Madame Alex. She learns everything she can about Alex's business which is suffering from having older prostitutes who want to retire. She then, at Ivan's urging, starts her own ring with younger girls and Alex's clients and makes a fortune. Nagy, jealous, shops her to the cops. He's the big bad wolf. They're both sleazebags but self-delusional and she wants nothing to do with them. She's very sorry - it's a nasty industry. Per Alex and Nagy, little Heidi Fleiss was no innocent when she came to them and played them like a pro. They didn't take her down but aren't sorry it happened. And by the way, she hasn't disowned Nagy but is still her lover and he has the car logs to prove it. It's a an emotionally codependent sick triangle and she's as complicit as anyone. Who knows what the truth is, although Fleiss age must speak in her favour. Plus the way in which the documentary interviews are arranged speak to the character of the people being interviewed. Madame Alex counts out her cash before speaking and Nagy is still pimping out Heidi, selling a video of her taking off her clothes to Broomfield. It's a messed up vindictive situation and Broomfield captures the petty but codependent craziness of it perfectly. 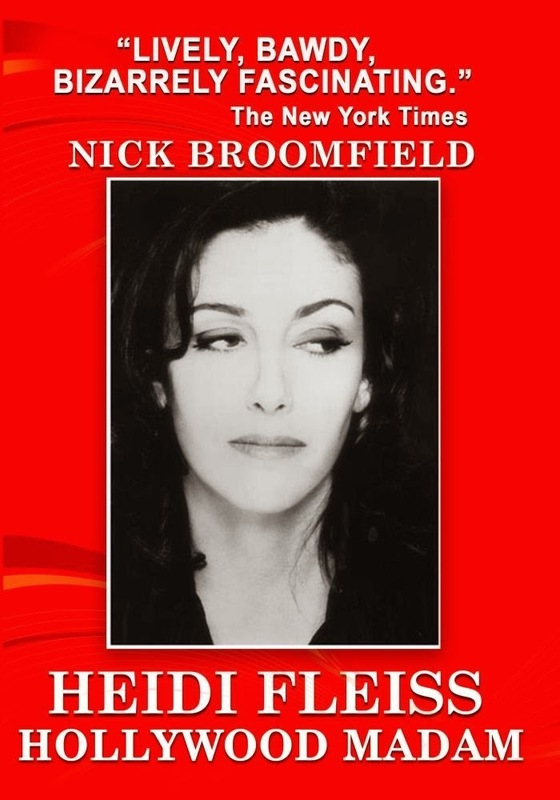 HEIDI FLEISS: HOLLYWOOD MADAM has a running time of 109 minutes and was released in 1995.